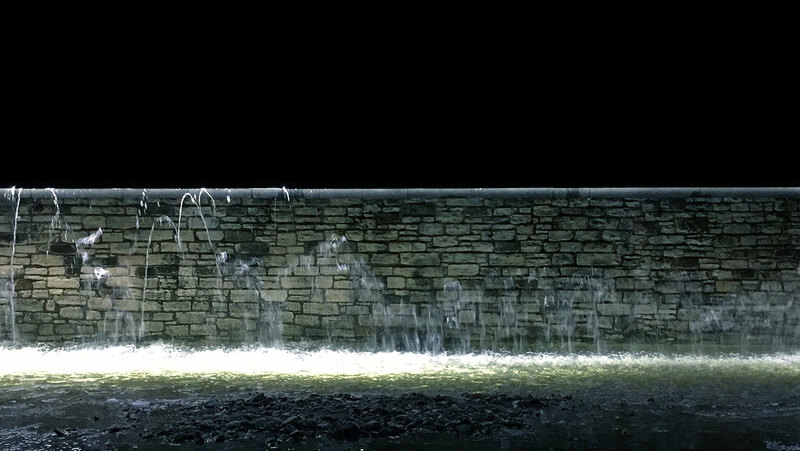 Volume was our entry into the Waller Creek Conservancy’s “Creek Show” exhibition that runs for ten days each year through downtown Austin. 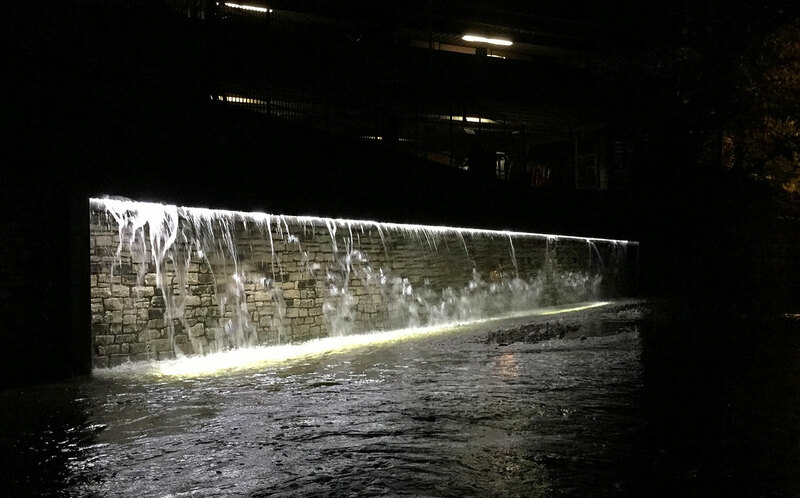 Our installation was a 100-foot-long intermittent waterfall that spilled over one of the creek’s spillway walls. Every two minutes, the water went from a gentle shower to a torrential flow, mirroring the creek’s transformation from a typically placid stream to a dangerous floodwater release valve during major storms. 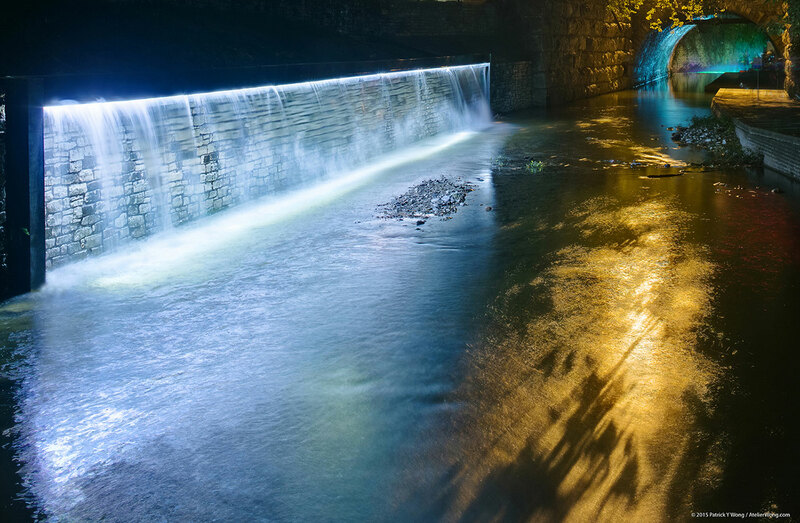 The waterfall was fabricated from steel, mounted atop the wall, and supplemented with LED strip lighting. It was ephemeral, and was completely dismantled after the ten-day run.